Based in Ruislip, Middlesex, Ashwood tree care provides professional tree management throughout North and West London, South Herts, South Bucks and all areas in between. Established since 1999 we encompass over 30 years of combined experience from a team of highly motivated, fully trained and committed arborists. Our aim is to provide you, our clients with a complete range of professional services to ensure your trees, hedges and shrubs remain healthy, and also retain their beauty and amenity value. 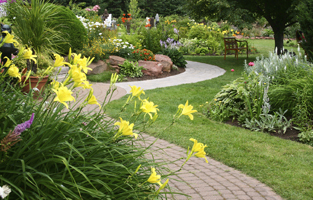 We will also ensure that they continue to form a focal point of your garden, and remain a natural, pleasing and functional member of the community. As an environmentally aware company, we always provide our clients with educated advice on their trees and work with them to deliver a service which benefits both them and the trees we care for. We understand the importance of trees and their place in society, from their visual impact to their assistance in reducing noise and air pollution, and not forgetting their most important role in sustaining life itself. 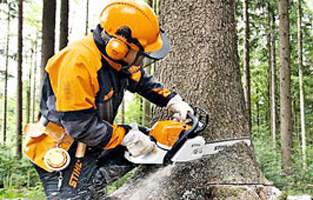 At Ashwood tree care we strive to deliver a professional, friendly and efficient service where quality comes as standard and using the most modern and advanced techniques in the industry. Cut back a large number of overgrown trees in a mature garden. Ashwood Tree Care delivered exactly what was agreed and within the time. Their careful expert tree surgery has opened up the garden and allowed light in without detracting from the beauty of the tree. Jason was very polite, timely and his team efficient and effective. Cleaned up and put everything back in place. True professionals. Very, very good on time keeping very courteous. Removal and trim tree branches. Removal of a three large trees. Jason and his team were very friendly and cheerful. They arrived as expected and carried out an excellent job for a fair price. All the trees were felled and taken away, leaving behind a tidy and transformed garden. Crown lifting of large tree blocking light. I would recommend this company. Excellent service, reliable and pleasant. Apple tree pruning and Conifer lopping / shaping. Reduction of large Leyland trees. Very good service, they worked well as a team. Would definitely recommend. Trimming back holly tree and ash tree in back garden. Very professional job, really pleased. Would definitely recommend. 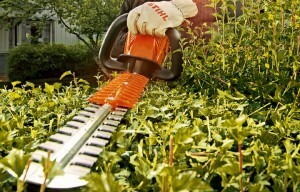 Trimming of large leylandi hedges in front garden. Excellent, tidy, would not hesitate to recommend. Height reduction of various trees along boundary. Excellent and thoroughly professional job, expertly carried out to our requirement, very good price for the job. Prune and Lop various trees and remove material. Cut the Ash, Spikey Pyracanth and Yew Trees very sympathetically left looking very natural when finished even though a huge amount of flora was removed. A very friendly and professional team would thoroughly recommend them. Height reduction of several Ash trees in back garden. Thorough, personable and affordable - great job. Excellent service from receiving quotation to works being carried out, site left tidy after works. Cutting down 3 big fern tree and disposing off all . The job started on 22/05/15 and fished on 23/005/15 all rubbish was cleared efficiently .Trees were cut without damage to any of the surrounding buildings . Our silver birch tree had got seriously out of hand. Jason and his team pruned it back in next to no time. He did a great job with the shape of the tree retained. They worked very quickly and when they left there was no trace anybody had been there. Very tidy workers. Also very reasonable price for the work done. Trimming of bushes and shrubs around garden. Not the first company I've used for my garden but they're definitely the most efficient and very tidy. Did a great job, great time keeping and left the garden very tidy after all the pruning. Felling of two dead trees in back garden. Arrived on time, commenced work cleaned up 1hour 10 minutes and left. Polite and pleasant. Will use again.